CAULIO - CHIANTI COLLI SENESI D.O.C.G. 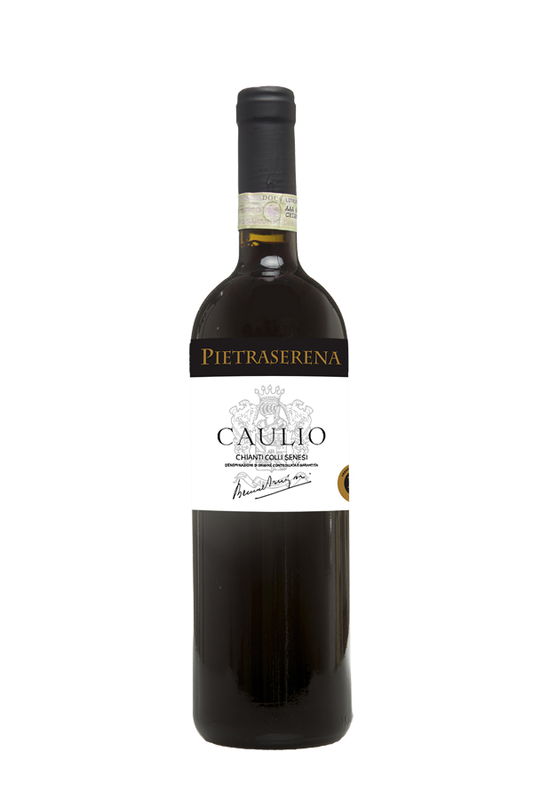 The word CAULIO derives from the ancient Latin language, meaning the branch of the vine. The grapes Sangiovese (90%), black Malvasia (5%) and Syrah (5%) are the grapes we use to obtain it. Maturation occurs in old casks of French oak, for the purpose of keeping the tannin at the right levels. The wine is then kept in bottles for 6 months before entering the market. The central region of Tuscany was cultivated with vineyards by the Etruscans in ancient times. They gave the area the name “ Clante” and from this Etruscan word we have come to the modern word “ Chianti” which is the name of one of the most important wine regions in Italy. The hills surrounding the city of Siena represents one of the best areas for the pristine environment and for the high average quality of the products. One of these hills is known as San Gimignano.